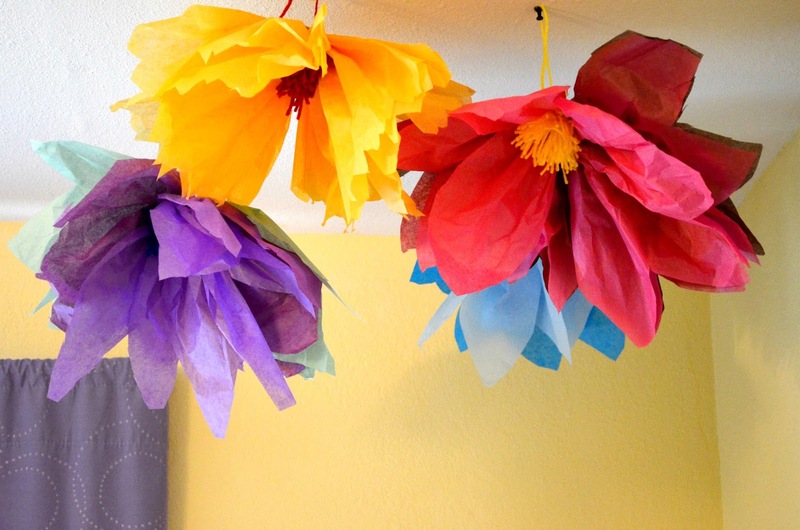 Do giant tissue paper flowers make you happy? This is a happy craft. My daughter re-fractured her arm again. 2 more months of cast. While I know it could be so much worse, having to wear a cast (and on her right arm again) made her so sad. Nothing makes Lu more happy than drawing and crafting. After a few days of the cast I could tell she was just totally crushed. She was frustrated at school because she can't write well with her left hand, and finally, she was just broke down crying. "I just want to make something!" She wailed. At this point I had stuff to do. My house was trashed. There was tons of laundry to do. Honestly, I didn't really feel up for a crafting afternoon. 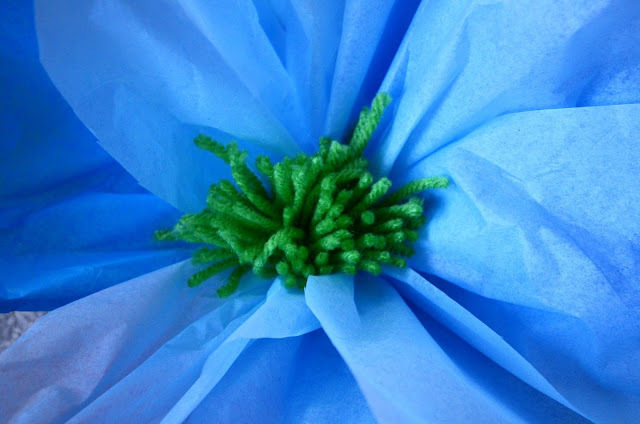 But I sat down with her though and we made large tissue paper flowers all afternoon...and I'm so glad I did. It made her soooo happy! 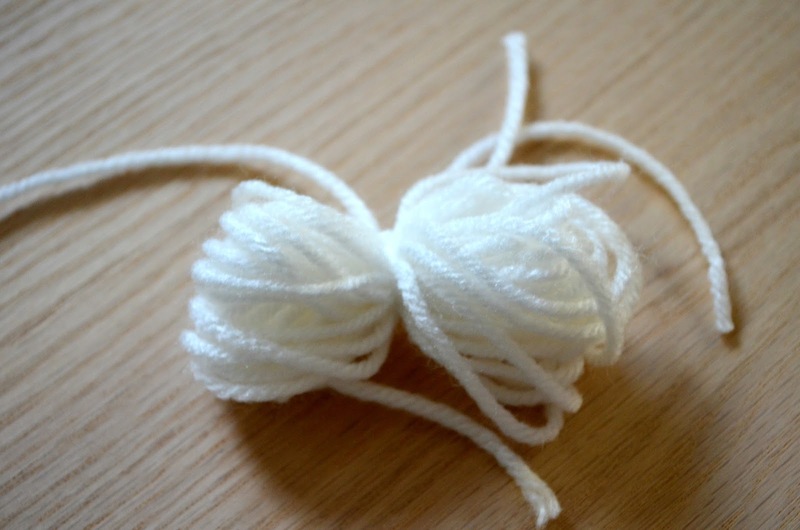 When she told me she wanted to craft, I knew I needed something that she wouldn't get frustrated doing, so I put her to making the pom pom centers. "Look mom!! I can make these with my feet!" She was so proud of herself. 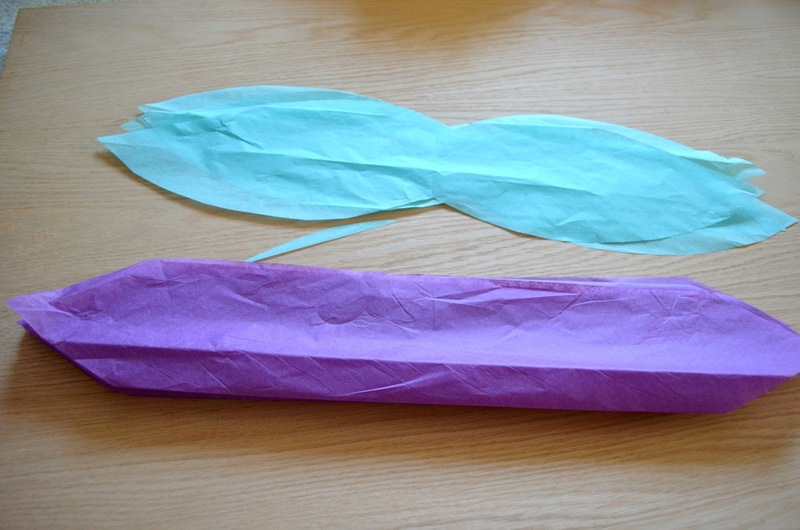 Ellie and I worked on cutting out the tissue paper petals and assembling the flowers. When we were done we hung them from the ceiling above both girls' beds. Mom, "I feel like I'm sleeping in a flower garden!!!" Yep. We made LOTS! Total crafting win, and totally inexpensive too. 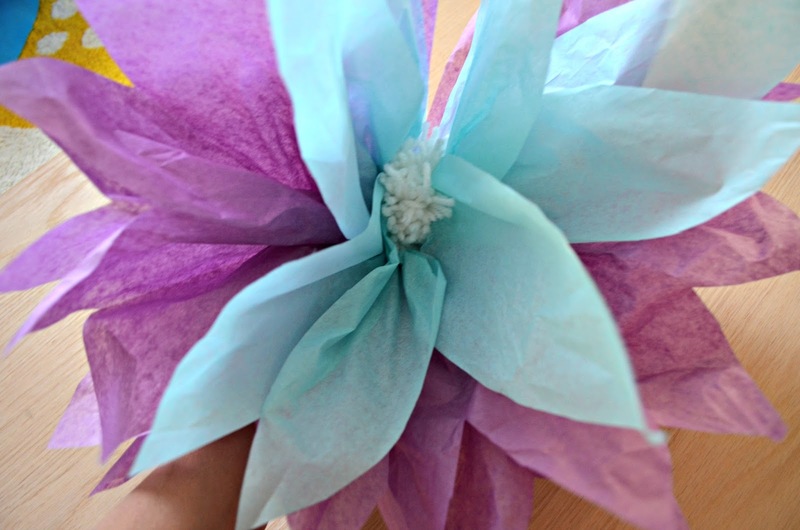 Do you want to learn how to make your own giant tissue paper flowers? Keep reading below. 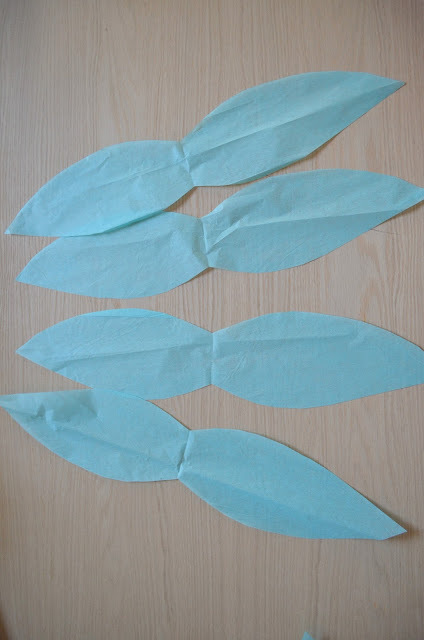 I began by cutting 4 large petals out of one sheet of tissue paper. Then I took 2-3 sheets of tissue paper and folded it with an accordion fold. I cut the edges so it looked more petal-like. 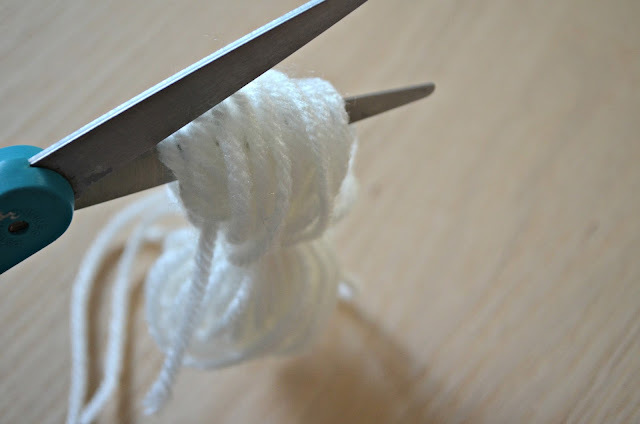 For the pom pom, Lu wrapped yarn around her foot, and then we tied it in the middle. I put the blue petals on top of the purple accordion folded paper. 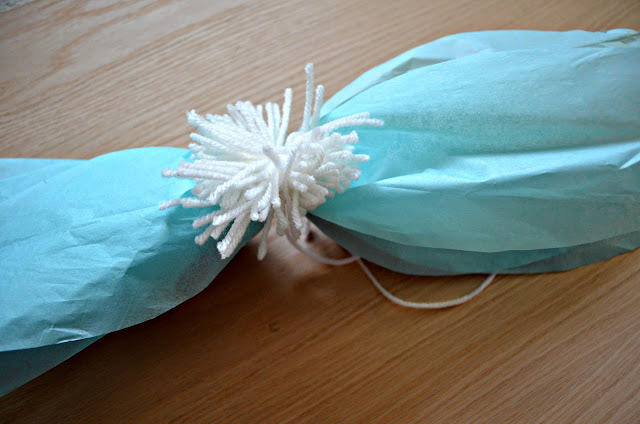 I tied the pom pom around the center flower. Then I just stretched out the petals and fluffed them a bit. When we hung them from the ceiling they looked like pretty full flowers. Now I just kind of wish that I made them glow in the dark! 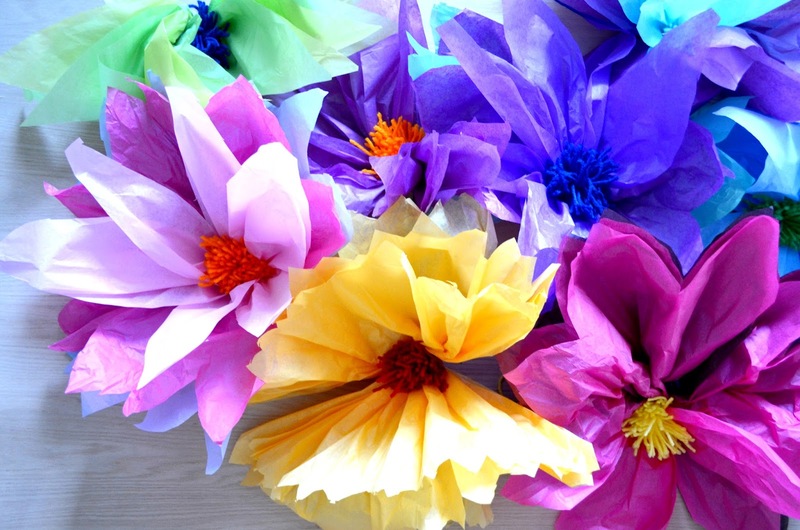 We made some flowers that were made just of individually cut petals and others that were made with the accordion fold, so feel free to mix it up a bit! I hope you enjoyed a peak into our crafty afternoon! 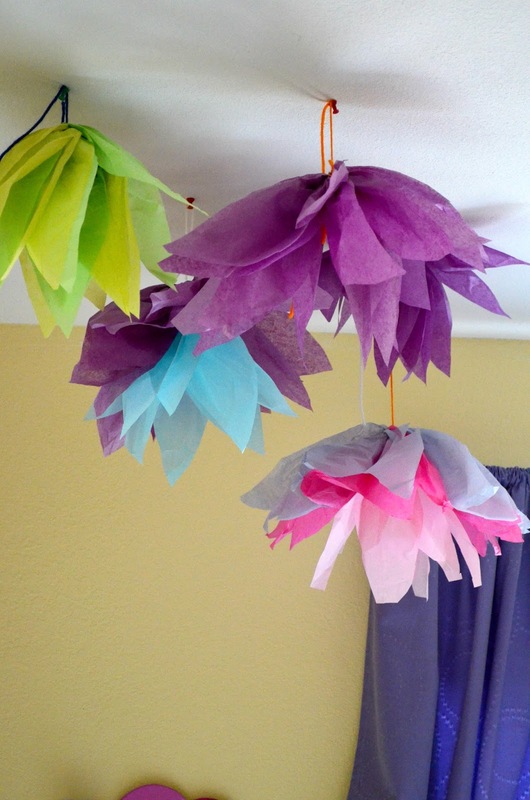 You were so smart to save your budget and create these lovely paper flowers! I’m sure I’ll be creating a bunch for my daughter’s graduation party. Thanks for sharing.